Great events are successful because event managers and promoters know how to get the word out. Call it hype. Call it buzz. Call it social chatter. It all starts somewhere. 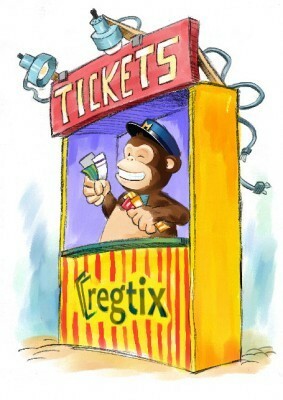 Regtix has always provided easy ways to communicate with ticket buyers via email, but now we're working with MailChimpto take email marketing and messaging to a whole new level. If you don't have a MailChimp account, get one for free. If you do have one, you can connect it to your Regtix event in about 30 seconds. When your customers buy tickets to your event, they are automatically subscribed to receive email updates about that specific event. As an event manager, you can easily send messages to ticket holders. Regtix + MailChimp allows you to grow your email audience across all of your events. In addition to subscribing to individual events at the time of purchase, ticket buyers are also subscribed to your general interest list. This allows you to grow your list over time and continue to market your events to a larger audience. Easy List Management - Users can easily subscribe and unsubscribe. Never worry about sending unwanted email. High Delivery Rates - MailChimp works tirelessly building technology and relationships that ensure high delivery rates. Designer and Custom Templates - In addition to sending email right from Regtix, you can use powerful (yet simple) tools to create great-looking email campaigns. Tracking - Wonder who is viewing your email and clicking on email links? No problem. MailChimp provides robust reporting tools that make it easy track how well your campaigns are working. Tons More - We're just scratching the surface. MailChimp is all about innovation and creating easy, powerful tools that help you get the most out of your email marketing. We're very excited to see how event managers take advantage of this new feature to improve the effectiveness of their email marketing and get the most of each event they sell on Regtix.